Participants step into a multi-colored, striped Velcro suit, which has corresponding Velcro straps, and sprint down the runway. After they get some air with a good bounce, kids will find themselves hanging around on the 13-foot Velcro wall. The suits and the wall are made to hold both adults and children. 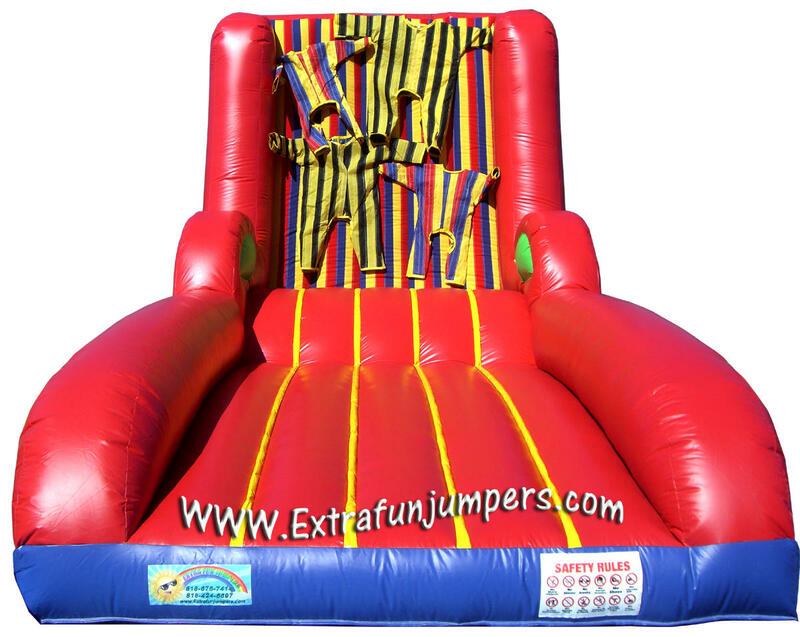 This unit is perfect for a large corporate event, or a neighborhood party, the Velcro Wall is sure to impress and give guests an experience they will never forget. 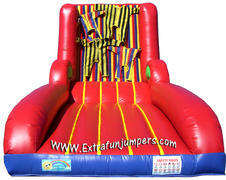 INCLUDES 4 VELCRO SUITS, SMALL AND LARGE.